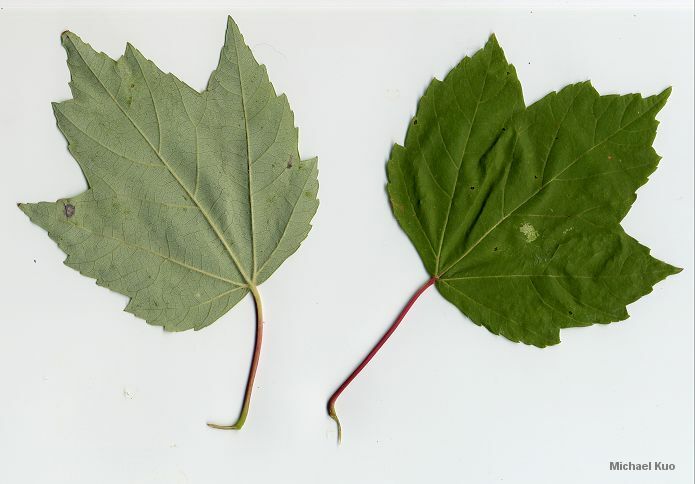 Leaves with three main lobes and fairly shallow sinuses; "helicopters" produced in spring; growing in eastern North America. 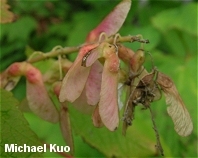 Habitat: Found in various eastern North American forest types as a canopy tree. 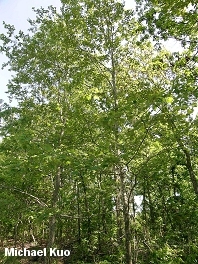 Stature: 50-80 feet high; to 32 inches in diameter; when mature featuring a dense, rounded crown. 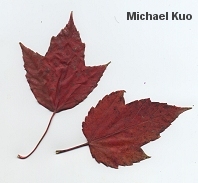 Leaves: 2-6 inches long; simple; with 3-5 lobes (usually 3 primary lobes); sinuses shallow; smooth; doubly toothed; light green above; paler below; turning red in the fall. 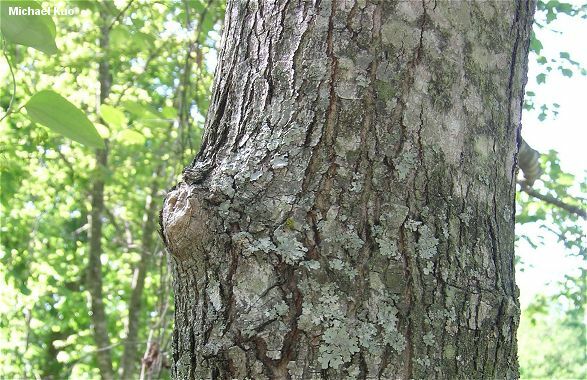 Bark: Light gray and smooth at first, becoming dark grayish brown and somewhat scaly. Fruit: A red to reddish brown "helicopter" about an inch long, appearing in spring.